Hello! Yes, this is the episode blog for Succotash, the Comedy Podcast Podcast. And we're up to Epi91, to be exact. Not familiar? What we mostly do is play clips from comedy podcasts from all over the internet. Some we pick – and by “we” I mean myself and our Associate Producer Tyson Saner. 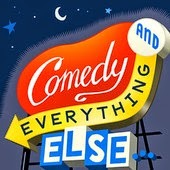 Others get submitted by the comedy podcasters themselves. Still others are suggested by listeners who want to make sure their favorite podcasts are being shared. For this show, we’ve got a half-dozen clips lined up and ready to roll. PLUS we have a special guest as well! 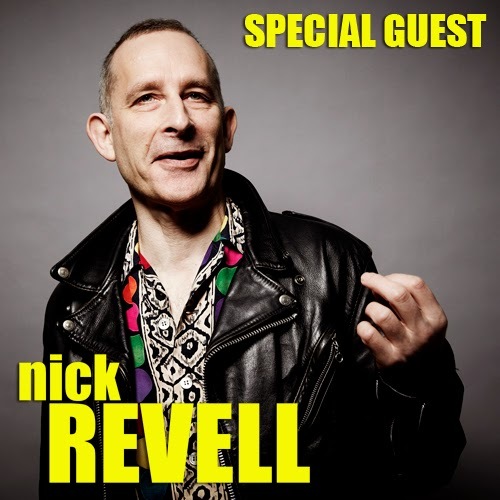 Nick Revell, one of the creators and hosts of No Pressure To Be Funny, a very funny panel show out of England which we happen to be a big fan of here at Succotash. Nick is a standup comedian and a writer. While NPTBF is on summer hiatus right now, he is doing a one-man show at the Ediburgh Fringe Festival, which we are hoping to be able to feature some audio clips from in the very near future. Like the best podcasters, he's witty, clever, and smart, so you'll want to listen on our chat this episode. Here's who we're clipping on the podcast this week (more details and links to the shows follow below): Chillpak Hollywood Hour, The X-Files Files, The 10-ish Minutes Show, Feliz Navipod, and Walking The Room. In addition we have our Burst O' Durst segment, featuring political comedian Will Durst who, this week, take some potshots an the largely inaction GOP slugabout in the Senate and the House. There's also a classic Henderson's Pants commercial, our Tweetsack segment and my usual wry commentary. As heard only on Succotash, this feature mentions which podcasts showed the most movement, either up OR down Stitcher's list of most listened-to comedy podcasts. 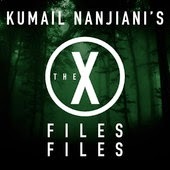 As a big fan of TV's The X-Files, I've been enjoying this new entry into Podcastland by Kumail Nanjiani. He, along with a guest, spend each episode deconstructing one (or two) episodes of the hit TV show.I beleive I can rightfully take credit for lighting the fuse that got the latest edition together: I had suggested that Kumail ping the aforementioned Dean Haglund and line him up to guest when it came time to talk about "E.B.E", the X-Files episode that introduces The Lone Gunmen, a trio of conspiracy nutballs that featured Dean as Langley, the long-haired, horn-rimmed rocker of the group. Particularly if you're an X-Phile, there is some great inside dope in this episode. Wish it could be Christmas every day? Willing to settle for once a week? Every week I become aware of more and more pdocasts that demonstrate we are in the midst of micro-targeting our audiences in Podcastland. 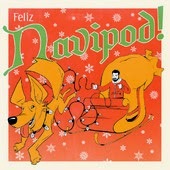 Our Associate Producer nabbed this clip from Feliz Navipod, with host Tony Thaxton. The show, year-round, is in the spirit of those old Christmas specials on TV, like Andy Williams used to do. In Epi24, Tony’s guests were Carol Spinney – the voice of Big Bird and Oscar the Grouch from “Sesame Street”, and Dave LaMattina. 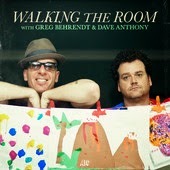 Tyson brings us a clip from Walking The Room, a show I really like but with a pair of hosts — Greg Behrendt and Dave Anthony — who won’t really give me the of time of day the couple of times our paths have crossed. (I even got all dressed up one night, with pants and everything, to go chat with them down at the Punchline in San Francisco. It was all set up in advance. And they blew me off. But I still like the show! There it is, basically. If you like what we do here, I encourage you to rate and review Succotash on iTunes, Like us on Facebook, Thumbs Up us on Stitcher, "Heart" us on SoundCloud and click our Donate button on the http://SuccotashShow.com website. Until next time, please remember to pass the Succotash! Welcome to Epi90 of Succotash, the Comedy Podcast Podcast, the show that tracks down clips of comedy podcasts from all over the web and sweeps them into a neat pile every week or so for you to scoop up with your dustpan-like ears and enjoy. You, dear reader, must also like to sweep a little bit into your eyes, since you're visiting the show blog. We’ve got a jammed packed episode: A half a dozen podcast clips. TWO of our Burst O’ Durst segments with political comedian and social commentator Will Durst, who talks to us about the Washington Redskins debacle and how to properly observe the 4th of July. A brand new Henderson’s Pants commercial for their "Camo CutOffs". 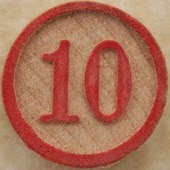 Not to mention the TweetSack. 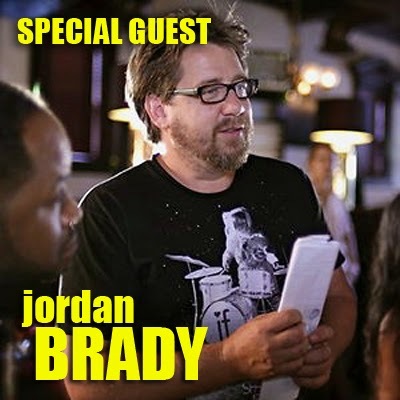 But we also have a special guest for Epi90, making his return to the Succotash microphones: Jordan Brady, who was here last time to talk about his documentary called I Am Comic. Now he has his followup movie out – which he was musing about doing the last time we chatted with him – and it’s called I Am ROAD Comic. It’s a funny documentary and neat little study of comedy and comics on the road. I’m very excited to have Jordan back on the show and he was very kind to give me a lot of time in our Skype chat which you will hear in this episode. The interview is pretty long, so the show is front-loaded with the clips and other business and then we’ll spent the rest of the episode with Jordan. Since he last joined us, he’s also become a podcaster, hosting Respect The Process. 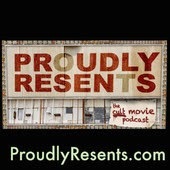 It's a show about the world of commercial film production and we talk about that in our interview as well. I'm not sure if anyone really appreciates or enjoys this feature but I do! It keeps me looking at the top-ranked shows on Stitcher and that helps me to stay in touch with what's going on out there in PodcastLand. So a shout-out to Ed Wallick from the Don't Quit Your Daycast podcast who gave me the idea for this list in the first place! 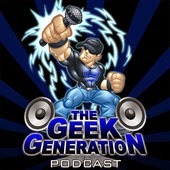 One thing I always appreciate is the kind mention of this show on the Chillpak Hollywood Hour by hosts Dean Haglund and Phil Leirness pretty much every episode. An offshoot of that is my appreciation of Dean's yodel of our show's name, which has begun to really develop over time, as can be heard over the theme song for this installment and again at the tail end of the show. Thanks, as always, to our Associate Producer Tyson Saner, who provided a number of the clips heard this episode! Word to the wise: Comedy podcasters are welcome to submit 3-5 minute MP3 or WAV clips from their shows to clips@SuccotashShow.com, and we'll feature them on the show! Friend-of-Succotash and past special guest Adam Spiegelman recently posted a "Succotash Shoutout" version of his show Proudly Resents. He had some bits, pieces, and tail ends of interview from his podcast so he put them together, Succotash-fashion, to serve to his listeners. Thanks, Adam! We're featuring part of that stew: A snippet of a conversation Adam had with filmmaker Jeremy Sklar. Tyson harvested this next clip and, he couldn’t have known this, but I’ve been aware of Revelstoke Jim since the early aughts. It was around the year 2000 or 2001 that I began to make a series of guest appearances on But Seriously, an early webcast – there was an attempt by some broadcast-oriented companies to livecast shows – hosted by comedian Brian Malow. His show was part of a rudimentary network of shows and the one that was on right after his was hosted by none other than Revelstoke Jim. So I would catch snippets of his show. 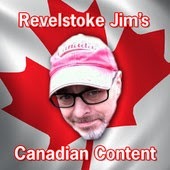 Here, some decade and some years later, is yet another snippet, live and direct from Revelstoke, British Columbia. The world of pop culture-based comedy podcasts is both deep and wide, which means there are a lot of them. Tyson found us this one, which I hadn’t heard of before, hosted by Roy, Phillip, and Ryan. (Or, as they refer to themselves on their show blog, “three fatties”.) Their focus is on video games – console and PC, as well as TV, movies, and podcasts. (Hmm. Wonder if they ever mention SuccotashI?) In this clip, they’re musing about getting a-whuppin’ as a kind of celebration of Father’s day.